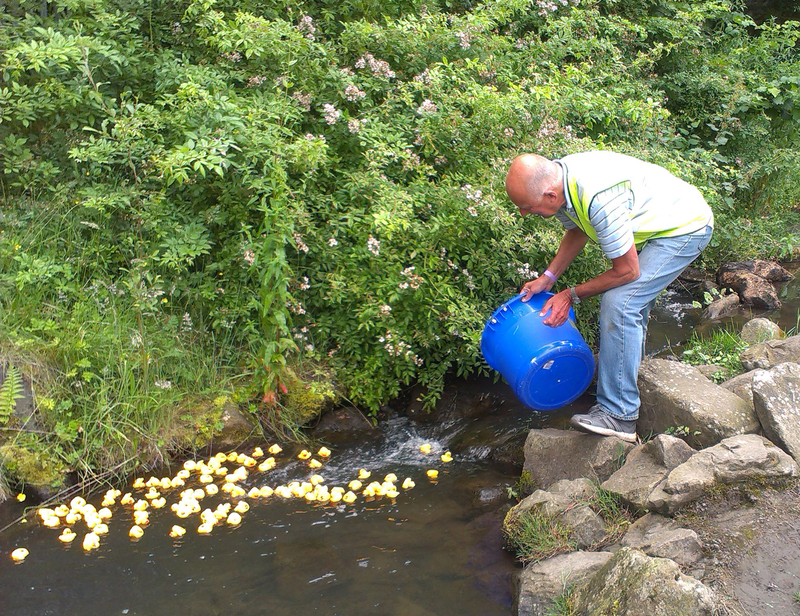 Thanks to all the competitors and volunteers at the hugely successful Cliffhanger duck races. We had six enjoyable races and your generous donations raised £112 for the Friends of Millhouses Park. Every penny will go back into the park. Special thanks to Anna for her daring rescue of duck 38 who became separated from the rest of the team. If you missed out or just want another go our 114 intrepid little ducks have had a bath and are ready for racing in aid of MacMillan on Saturday 18 July. Find us at the fish pass and join in! First race shortly after 11.